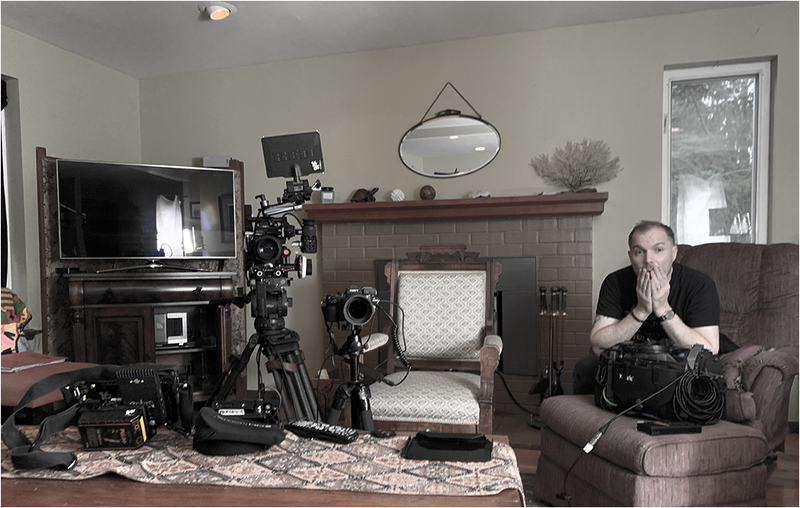 When the Arrow Media crew arrived in Port Orchard, they were on the last stretch of a journey to draw fresh documentary perspectives on serial-killer Robert C. Hansen. 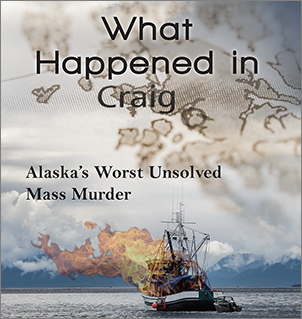 They’d spent weeks in Alaska, talking to folks who’d encountered this man who personified evil. They got aerial shots of his burial grounds on the Knik River. And drone shots too. Now they wanted to talk to me. Almost immediately, my feelings started to turn slightly sideways: “They’re not looking at me; they’re looking to me.” Not in that paranoid, noir thriller sort of way. Just that they’d come so far and wanted me to deliver. The Hansen story was a narrative I pretended to know well. Too well, sometimes. But, hey there’s a bigger picture. So I kept thinking… I’ve got to give them new stuff. Stuff that’s not in Butcher, Baker The Book. Give them the stuff that ended up on the cutting room floor, to mix metaphors horribly. Yeah, going beyond the questions, as if to make up for my lapses (of which there several of the total brain freeze variety). On the spot. A great place to be, if you know what you’re talking about. At least my instincts were in the vicinity of reality, though Lorrie later told me I sometimes drifted too far out of my lane. The unspoken goal from my perspective was to give them considerably more material than they’d use. Because, in most cases, a documentary is only as good as what you can afford to leave out. It’s called editing. 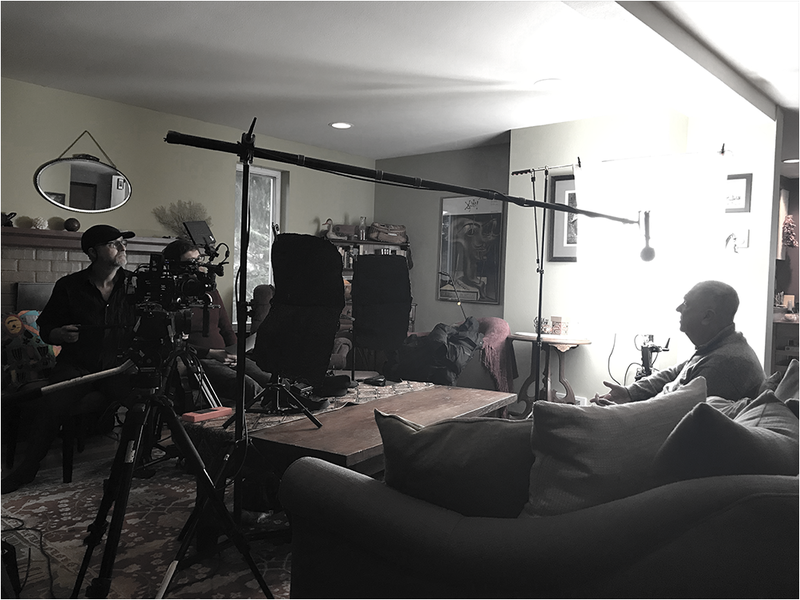 Alec, the director, eventually regaled us about the process. How it will take him 14 weeks to tease out the final product. Until then, it’s details upon details. 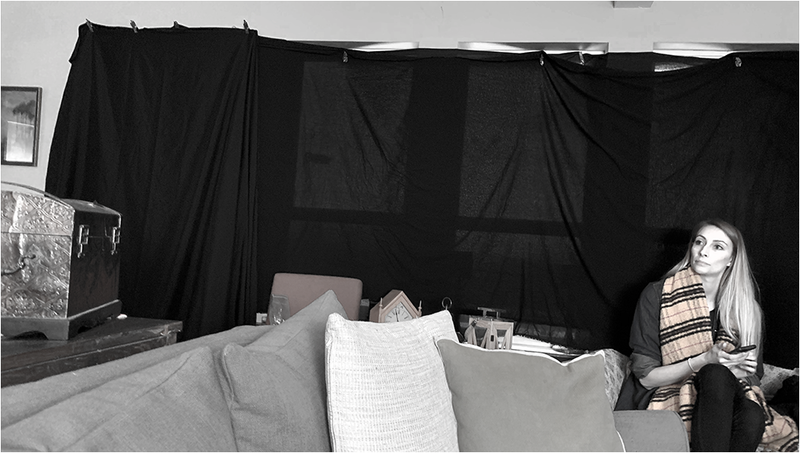 Black curtains. Bright lights. Jess is the keeper of all things big and small. And all sources of even the slightest noise extinguished, including our wall heaters. The fans, you see, overwhelmed their highly sensitive mic. Fine if it wasn’t cold. And snowing. As time passed like slivers of dust between us, I noticed I wasn’t the only one whose thoughts were on a string. For these few moments — hours, actually — we were in it together. Not hoping for the best. Giving it our best. Steven, our ever-attentive sound man, taking a breath before we start. Once we begin, there’s no looking back.